Last spring I spent a week with a group of mountaineers at a remote glacier camp in Yukon’s St. Elias Range near the base of Mount Logan, Canada’s highest peak. 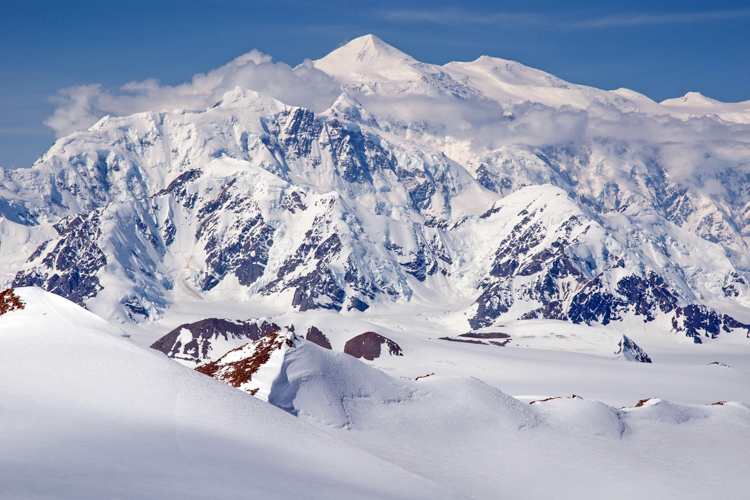 Sometimes referred to as “Canada’s Himalayas”, the St. Elias Mountains (the highest in North America) sit within the largest glaciated region outside of Greenland and the Poles. At 5959 metres, Logan is also the heftiest mountain by mass on Earth, and is considered a top climb among mountaineers. On our last day at the camp, we were caught unawares by three men who emerged from the desolate icefields around us. Glenn Crawford, Jerry Auld and Jerry Kobalenko, from Canmore, Alberta (seen above from left to right) arrived at our camp on skis, dragging sleds piled with equipment and provisions. 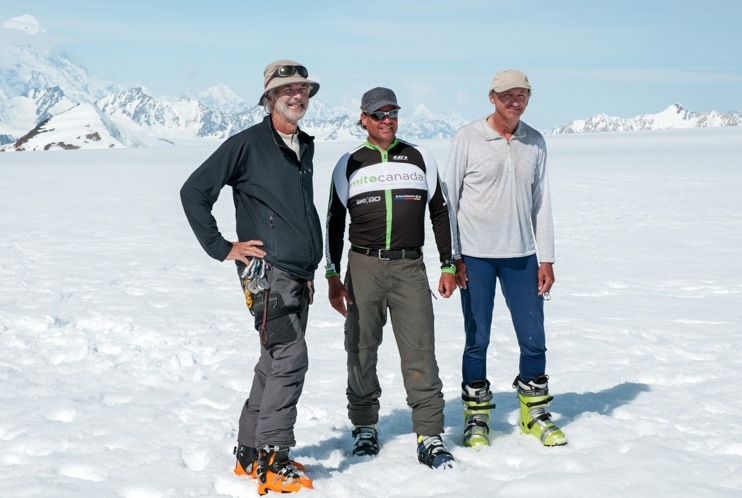 They’d just completed an 11-day circumski (a circumnavigation) of Mount Logan – a gruelling 240 kilometre trip through a wilderness of crevasses. The area is also known for some of the worst and most unpredictable weather, anywhere. 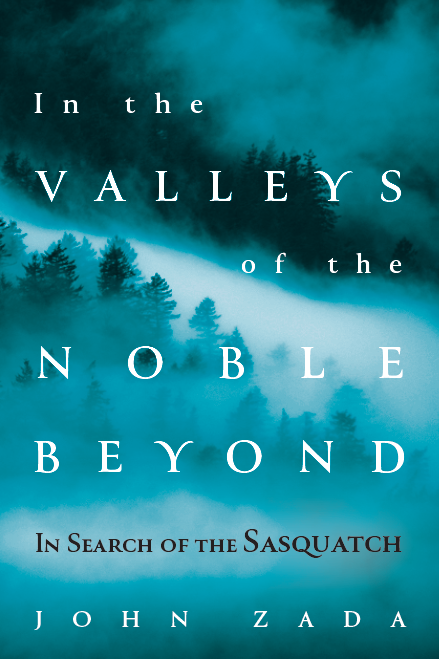 Intrigued by their journey, I later sat down with the expedition leader, Jerry Auld, a novelist and mountaineer, to hear more about the trip. How did the idea for this journey arise? Four years ago I travelled to Kluane National Park with my wife, her parents and our daughter. I’d never been to the north, but heard so much about it and was dying to go. We did a lot of the front range hikes in the park. It was difficult for me because I wanted to see the really big mountains and it’s hard to get a good look at them unless you fly in. Even though we’d got up to some viewpoints, I still wasn’t seeing what I wanted. So my father-in-law and I hired a plane for a glacier tour of the Icefield Ranges. On those flights, you quickly get over the Kaskawulsh and see how large these glaciers are – and how far they extend. It was a bit cloudy that day and the pilot was pointing out various peaks. I was interested in seeing Mounts Logan, Saint Elias and Vancouver, but they were all in the distance hidden behind the clouds. But strangely the clouds parted, and for about 20 minutes Logan appeared. With the angle of the sunlight and the position of the plane, you could see the glare ice on the sides of the massif. The mountain looked like pure ice. It was magical and magnificent. Seeing Logan under those dramatic circumstances planted the seed in my mind to return. I knew I had to go back. I turned 45 this year and decided that I’d visit Logan as a birthday present to myself (it was a great excuse – who could deny me a birthday gift, right?). So the two of us decided to do a circumski. I didn’t realize that it had been on Glen’s tick list for the last 20 years. He’s friends with Donnie Gardner who was on the original team back in 1979 to do this. We started to ask all of our friends if they wanted to join, but people had bookings for other trips – and other commitments. One day, I was skiing with Jerry Kobalenko and I mentioned Logan to him, because I knew he had been doing a lot of Arctic traverses. I knew he wasn’t a mountaineer, but realized he’d be great at the winter camping. We were looking for a fourth, but we couldn’t find one. We asked if we could do it safely with three people and we decided: ‘yeah, let’s do it’.That became the team. We pulled the whole thing together in three weeks. So there wasn’t a lot of forethought. We just had the desire to do it, and we made it happen. How much did you know about others who had done the same trip? And who were they? The other group that went in just before Pat’s was led by Steve Smith and another Canmoran named Donnie Gardner. Donnie is a legend as well, having been on the party that first did the Jasper-Lake Louise Grand Traverse. Smith and Gardner’s party did it the hard-man way: they drove to Kluane Lake, parked, and skied their sleds up the Kaskawulsh Glacier to Logan, then skied counter-clockwise (as we did) to the King’s Trench. Then they climbed the mountain via that route, descending in just two days. After that they completed the circumnav and skied all the way out! Six weeks in total. Those were hard men and I am in awe of what they did. No good maps. No phones. Nothing but strength, huge sleds and a love for it all. What sort of formal preparations were required? Glen and I ski a lot together, and we do a lot of ski mountaineering. Both of us have spent a lot of time on glaciers. So there was nothing additional required in terms of gear. All of us had lots of winter camping experience too. What Glen and I did not have was sleds. So we had to figure out what sleds we were going to pull, and practice with that. The other preparation on Jerry Kobalenko’s side was that he’d never done crevasse rescue – or any mountaineering. So we had to go through how to set up a crevasse Z-pulley extraction system and the different knots and ropes, and how to tie into the ropes. It was a little bit of work preparing, but Glenn and I were generally the crevasse mountain guides in that capacity. The big one that we had to figure out was food and communal gear, like stoves. We had to also figure out the weight of the sleds, the weight of the loads and what kind of food we were going to bring. 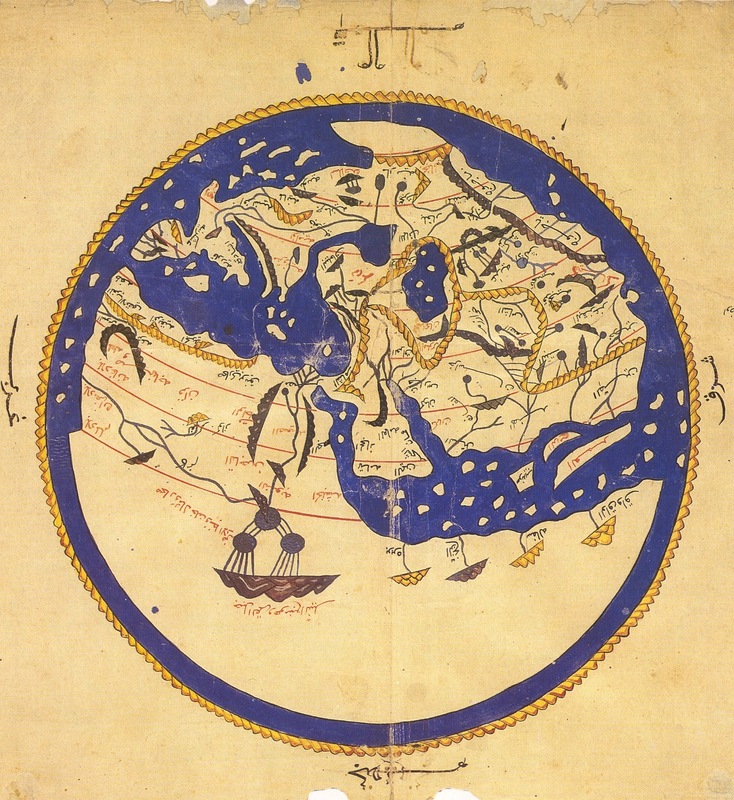 And then finally, maps. Because this area is SO big, it wasn’t just one or two maps. And because there’s a section across the border in the United States, which is a totally different scale, we had to piece together 15 maps and make sure we had everything covered. We planned for white outs and long sits in the tent with storms – even though it turned out we had perfect weather. But all those preparations were linked. Describe the route you were taking. It was very remote and very committing. But it wasn’t technically challenging. I’d say it was more physically challenging because it’s quite a long ways. We did have our technical spots, with a lot of crevasses. But generally it’s all on big, flat glaciers. So for many days we had a great time moving along. But I’d say it was advanced in that there is some route finding. More than that, it’s just the remoteness and the commitment. If we were out there and a big storm had come in, which is very common, we would have been tent-bound for six or seven days – and we needed to be able to handle that. And that’s not your normal trip. There’s no way to get out. There’s no way just to call a plane if a plane can’t fly. And there’s no way just to ski out. It’s just too far. And that’s the commitment factor. When we actually hit the ground, the snowfall was exactly what we were hoping for – and not what we were expecting based on those videos. And that really made things a lot easier. Still, the amount of gear we had for rescue, and for being able to stay put if things went sideways, was significant. That was half of our gear for sure. What’s it like to be around mountains of that size? I know mountains. I’ve been around them, and I write about them. Being up there was like being in a kind of Disneyland. However, it was a constant adjustment because I couldn’t fathom the scale. When we started looking at the maps and appreciating the true scale of the region, we figured out that the island of Manhattan can easily fit atop the summit plateau of Mt. Logan with lots of room to spare. If you stacked Mount Robson, which is the highest peak in the Canadian Rockies, right at the base of Logan – not at sea level, but right at the base – it would barely touch the seracs that are coming off the summit plateau of Logan. From there it’s another vertical kilometre to the summit. It didn’t make me necessarily feel small, but it made me feel very privileged because nothing there can be taken for granted. It’s all new, it’s all massive and it all needs to be respected. But it was a constant adjustment for me. I kept going back to the idea that a certain landmark should take me two hours to get to – and not two days. Even towards the last days we were making that mistake. What were the high points – and low points – of the trip? Luckily, most of it was on the high end. The weather was just phenomenal. It was such a smooth flight in that I didn’t realize that we were on the snow until I looked down and saw the snow plumes coming off the plane’s skis. We couldn’t have hoped for better conditions. The snow cover was perfect. The density and consistency was exactly what we needed. All we kept thinking at the start of the trip was how blessed we were. The real high point was that the weather never changed. We just had absolutely perfect conditions for almost the entire time. There were a couple of low points, and they were minor: On Day 6 or 7 we encountered fog as we came onto the Seward Glacier. It was a full whiteout. And that becomes really monotonous, really fast. We were thinking that our good weather window was gone. One of the high points came right after that when we came over a rise above the clouds. The fog dissipated and that massive Seward Glacier – extending 60 kilometres away from us, and 25 kilometres in width – surrounded by huge mountains, just opened up. James Cameron couldn’t have filmed that moment. It was that magnificent. 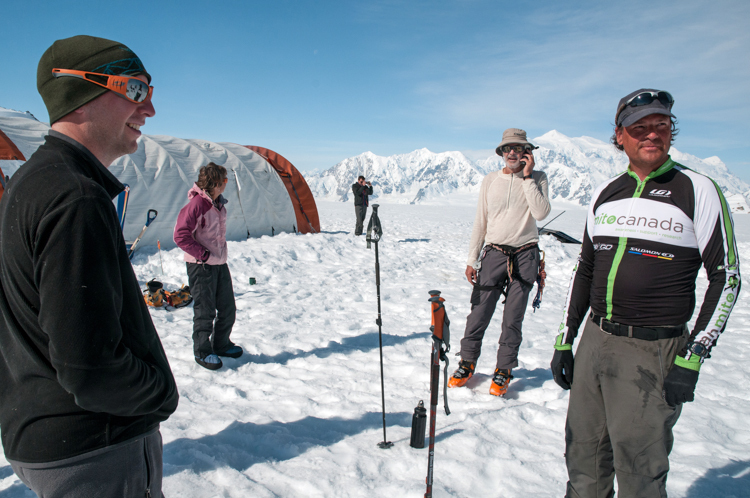 The hardest day was Day 4 – when we were coming off the Logan, through the Ogilvie, and then onto the Mussel Glacier. There were a lot of crevasses. Crossing the moraines and the crevasse fields was really tough with the sleds. I’m used to skiing with a backpack. And no matter how heavy I am, I can still move around. But having a 120 pound sled tied to my waist was really challenging. And that led into the next day when we went up the Mussel which goes up 10,000 feet from 6,000 feet. That’s 4,000 vertical feet pulling the sleds behind us. It was just an exhausting day. But again, we got to the top of that pass and you could see all over Alaska. We could also see Logan behind us. The views were so incredible that whatever fatigue we felt was almost immediately gone. I wouldn’t say there were many down sides. It was one of the more exceptional trips I’d ever done. Yeah. We were expecting cold and storms. We were hoping to be able to ski at least one, or two, days in a t-shirt. But it turned out to be everyday. We had to stop sometimes because it was so hot. When it got up to +25 Celsius in the afternoon, we couldn’t move the sleds anymore. So, we’d get up early and ski. Later that day we’d suntan, write in our journals, sketch or take photos. And that I was not expecting. It was more like summer camping. What was it like arriving at the base camp? It’s funny because when we originally flew in, the camp wasn’t there. We had seen some pictures, but we didn’t really know what it was going to be like. When we came over that last col, we could see our cache and we could also see the camp. What was striking for me was just how far away the camp was, and how long it took to finally get there. It was a bit of a Monty Python moment where we kept approaching it, but it wasn’t getting any closer. Seeing the people there was fascinating as well; realizing we’d been out for almost two weeks and suddenly coming upon a pocket of society. The novelty of it was really interesting. I think that’s when friendships get made very quickly because people are so open with their own experiences. It’s not just another face you see or meet on the street. It’s always a special moment when you come into a camp like that. I really enjoyed it. What else did you learn, or take away from this trip? I think a big part of the learning for me involved appreciating just how enormous Kluane is – not just in scale of height and the terrain, but also the fact that the park itself is quite large. There’s corners and sections of it that I’d never seen. The takeaway for me is that if I ever just got tired of this life I could disappear up there and spend the rest of it just exploring unknown areas. And to me, it’s great that we have that. It’s not around the other side of the world in some hostile region that you have to sneak into. It’s here in Canada. I thought it was more impressive than the Himalaya, which I’ve been to. There’s areas that are just untracked. And even the pilots who’ve lived their whole lives there barely know them. For me, that’s the real magic: knowing that it’s ours, that it’s here, and that it’s just wide open waiting. What would you say to someone interested in doing this trip? Let me say first that we didn’t have any avalanche hazard because the glaciers are so wide. We were just not near anything that was going to fall on top of us. But the crevasses are definitely a hazard. For anybody wanting to do this, I would say: get out into the mountains – the Rockies, the Coast Ranges – or anywhere that’s glaciated where you can get some experience. You can’t go up there without that. It’s way too remote. There’s just no way to get help if you need it. So you have to go up there fully self-reliant with the ability to self-rescue. And that’s only going to come with knowing the glaciers really well. Unfortunately, anything less than that is a barrier to entry – unless you can find a reliable guide to fly in with you. My wife’s pregnant. We’re going to have another child in December. I’m an ultra runner as well, and so that’s an easy thing to focus on while I’m in Canmore. I can go for 100 kilometre runs in a day. It’s not such a huge commitment away from the family. For the next two years I know that I’m not going to be doing any really big trips, but I would love to get back up to Kluane into one of those hidden corners. Specifically, I’d love to go tide-to-tide in terms of starting where those glaciers come off. I’d hike up, ski through Kluane, then get into a pack-raft and paddle some of those big, flat rivers out of there. It’s just a dream right now. But that’s how everything starts, right? Jerry Auld and Glen Crawford recently completed a short documentary of their journey entitled, Around Logan. You can view it here.